New York, USA - March 7, 2019 / / — PawPack and PetGiftBox into PetBox.com are pleased to announce the merging of the two brands! Loyal customers and newcomers will now benefit from a simplified checkout experience. 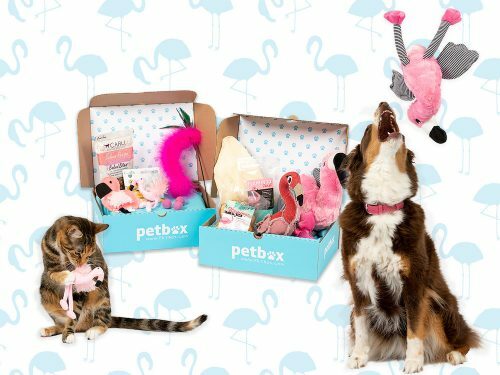 Owners of both dogs and cats can now enjoy the PetBox experience with a monthly subscription box curated for their own furry friend. Petbox has three selections for dogs based on their size. Different breeds lead to different needs. From treat sizes to toys PetBox recognizes that some toys need to be more robust or last longer, or that small sizes treats are the best choice to maintain a healthy lifestyle for small breeds. From cricket cookies with peanut butter to squid bites, we ensure all of our dog treat choices are a healthy one! The PetBox for dogs comes in three sizes for your dog: small, medium, or giant breeds. If your dog is quick to go through toys, this is a great way to keep new stimulating toys in a rotation and engage your pup every month. Feline friends are often indoors most of the day and don t get the same chance a for play as dogs. With PetBox, you can get monthly pet box of new toys and treats for them to enjoy. Often our cats need something to scratch their nails on, hunt, and enjoy the new treat or so. A varied diet can help lead them towards a more enriched life, so it s great to spice things up with our specially chosen cat treats. Playing with your animals is a great way to provide chances for bonding, entertainment, and saves them from taking out stress on other household items. Cats are hunters who have an instinct for the chase. Keep your indoor cat from becoming inactive or overweight by having them run around with one of our toys. From catnip stuffed rats to feathery wands, we ll provide something new for your cats every month. Dogs are social creatures who need a lot of feedback and play. Keep them busy with a new toy, and use the treats to reward and train your companion. The stimulation you provide to your pets can help reduce anxiety or stress, relieve them of boredom, and let them know that you care. When animals are left without anything to do, it can lead to unwanted behavior such as scratching, excessive barking, and extra eating that leads to obesity. PetBox offers several different subscription models to fit the needs of their furry friends. Customers can choose from one, three, or twelve-month models. PetBox is a chance to bring some new light to your pets life and is fun for owners to uncover and explore new products as well. Does your friend have an Instagram for their own dog or cat? Do they often ponder over drinks how their pet is doing at home? We offer gift cards as well for the perfect gift. Check out PetBox on social media to take a look at all our happy customers, as well as past orders!